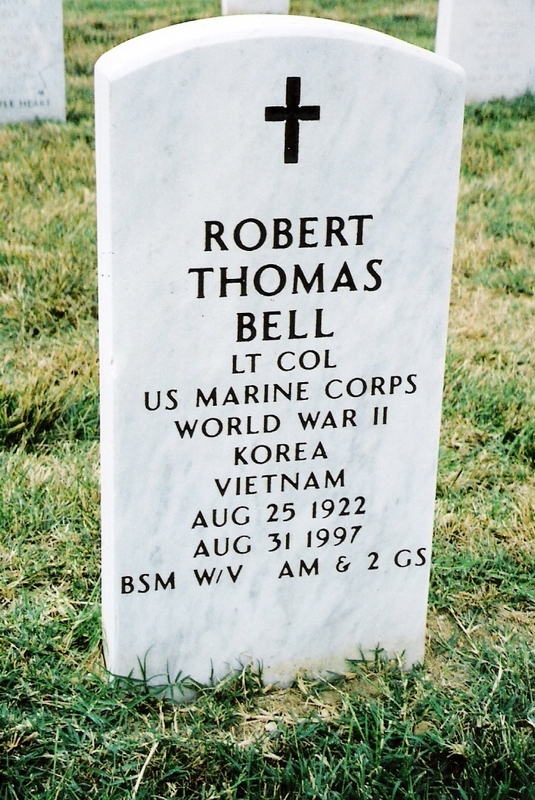 Lieutenant Colonel Robert T. Bell, United States Marine Corps. Entered Navy Flight Program, June 1942. 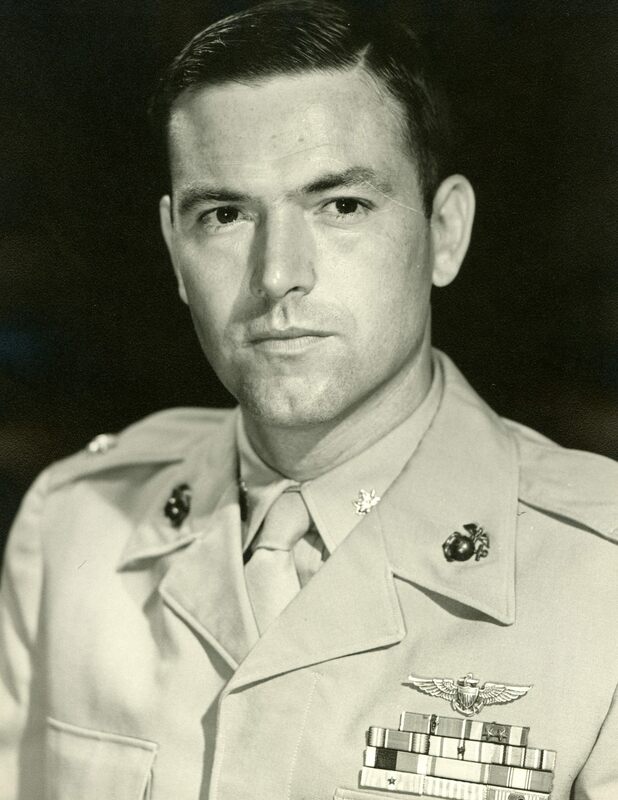 Transferred to Marine Corps 1943. Served in World War II, Korea and Vietnam. Retired September 1, 1966. Died August 31, 1997 and buried at Arlington National Cemetery, Section 64, on September 10, 1997.